We left Cape Town a week ago, Briony and I both racing through our last minute chores to make it to the airport on time. We checked in and suddenly the rush and the pressure to finish jobs and send emails and edit documents ended. We sat in Departures and we could do nothing more. It was bliss. After a week trying to balance rehearsals, marketing and managing the Upstairs, and getting my flat ready to be left empty for two months, I had finally reached the point where I couldn’t do anything more. Even if I had wanted to, I couldn’t. We arrived 7.30am in London and hopped a train to Hove station where we’re staying with my sister. We didn’t have long to settle in because the main task for the day was finding an arm chair for Owl. We visited six second-hand furniture stores in the morning. It was proving difficult, there were many small details about the chair that I hadn’t realised were important: the angle of the back, the width of the arms, the depth of the upholstery. Fortunately there are a lot of second-hand stores here selling good quality stuff much cheaper than in Cape Town. 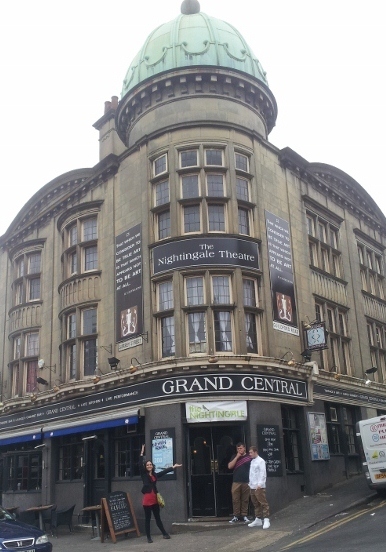 At midday we popped in at the Nightingale Theatre, the space to be our home for the next couple of weeks. It’s a lot like Alexander Upstairs – a smallish room above a pub with a capacity of around 40 -50. It’s got a couple of advantages… better lights and more stage space; just as we have ours. Both of us share the problems of being a small space, the biggest being bad sightlines from the operating desk. The Nightingale team is led by Steve, a trim bearded dancer who occasionally does kicks. He makes us feels very welcome and the office is very friendly. That’s generally the feeling of the Brighton Fringe – friendly and welcoming. The locals are far more mixed, ranging from the scarily grumpy to the scarily cheerful. Thursday has me working on the armchair’s spinning mechanism and then watching as Briony subjects it to the blocking; spinning, jumping on it, tipping it and then deciding it was too nice. So we scratched it, tore it, kicked it and stained it in to a more suitably disreputable state. In the afternoon we went to a Participant Mixer hosted by the Fringe and featuring free pizza and wine. We set out to enjoy ourselves first. A lot of people see these sorts of events as opportunities to meet important people and make them come to your show. It’s not. It’s an opportunity to meet interesting people, have some free wine and have fun. Maybe you’ll meet important people too, and that interaction will be more rewarding because it doesn’t follow from an agenda. I met a Master synchronised swimmer, a part-time actor and air-steward, a former prostitute, a sartorial comedian, and a Welsh cake. Our new fest friends We Are Goose are doing a musical on the life and work of John Hunter. We had pints! We opened with 2 shows on Saturday and one Sunday. The audiences were small but very attentive and there have been some great tweets about the show and Briony’s performance. So far we’re feeling confident that the run will be worthwhile. It’s also great to be out of Cape Town for a bit and some perspective on our little theatre world. 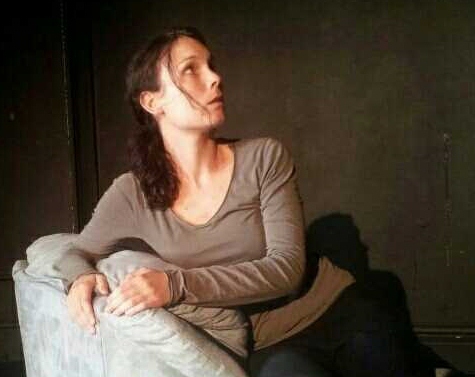 This entry was posted in Projects and tagged Brighton Fringe, Briony Horwitz, Nightingale Theatre, Owl. Bookmark the permalink.